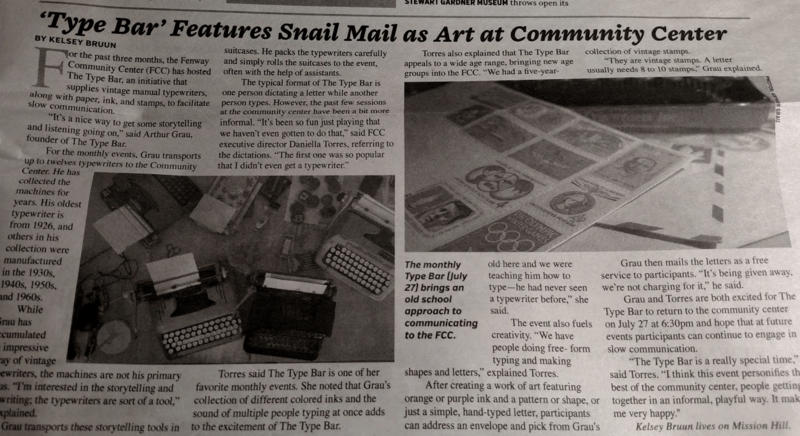 Type Bar featured in the Fenway News. Thanks for the lovely article Ms. Bruun. Hope to see you and yours next month while we make it happen on the theme, “Letters of Encouragement”.